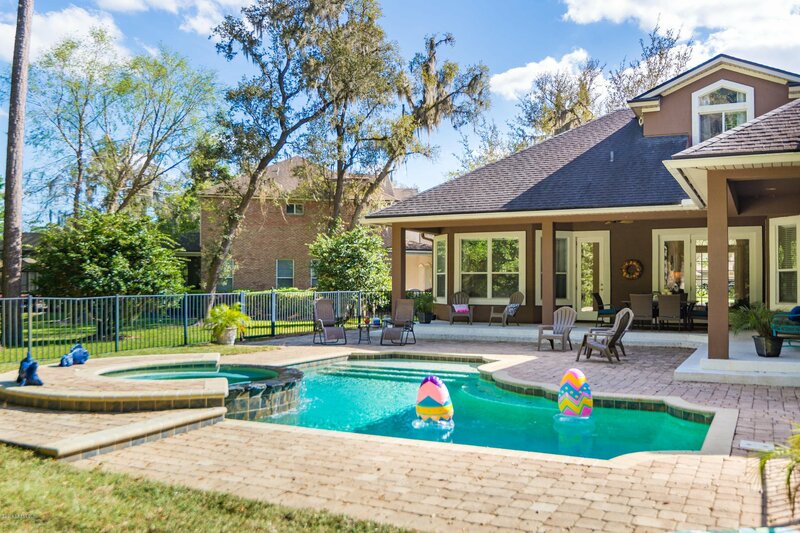 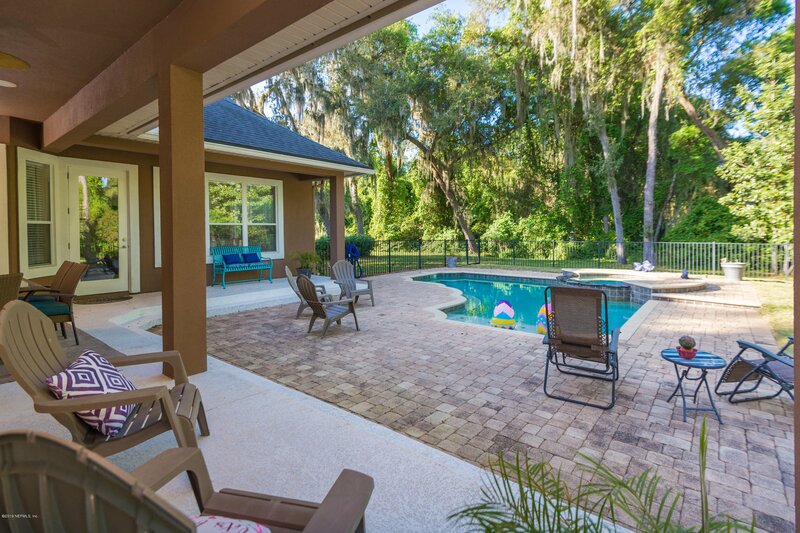 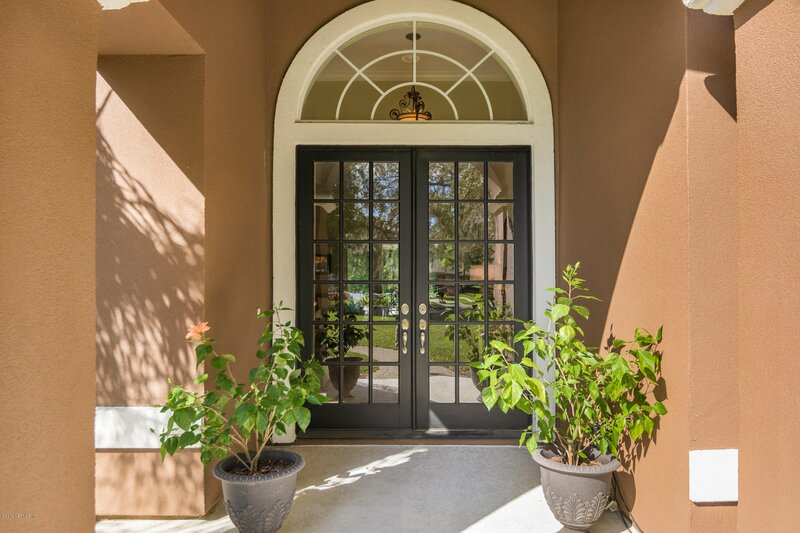 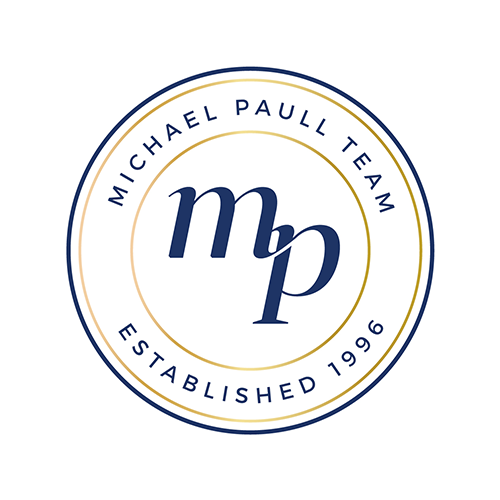 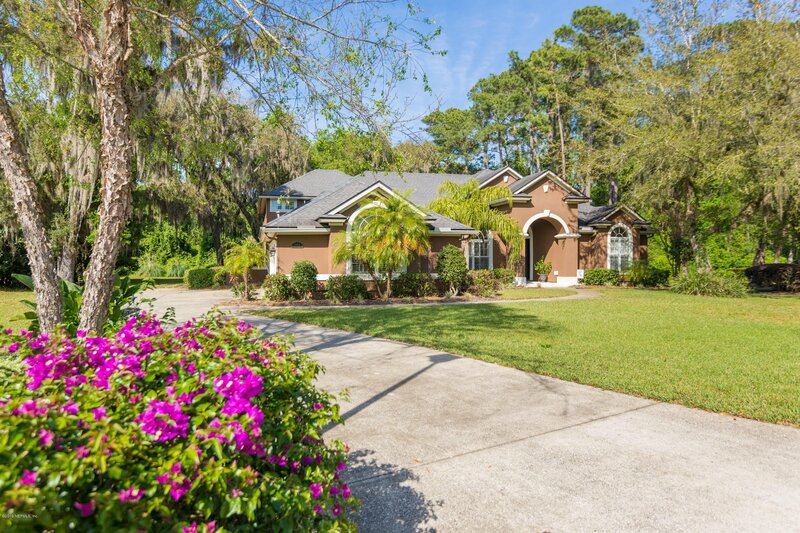 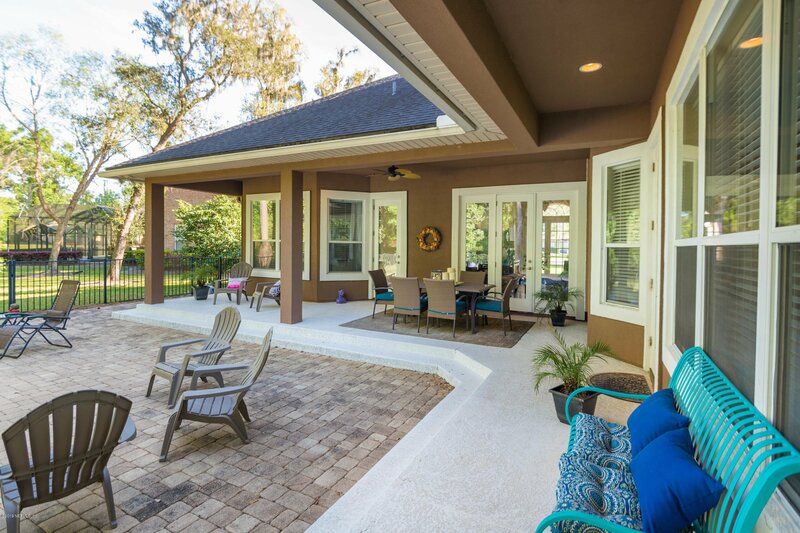 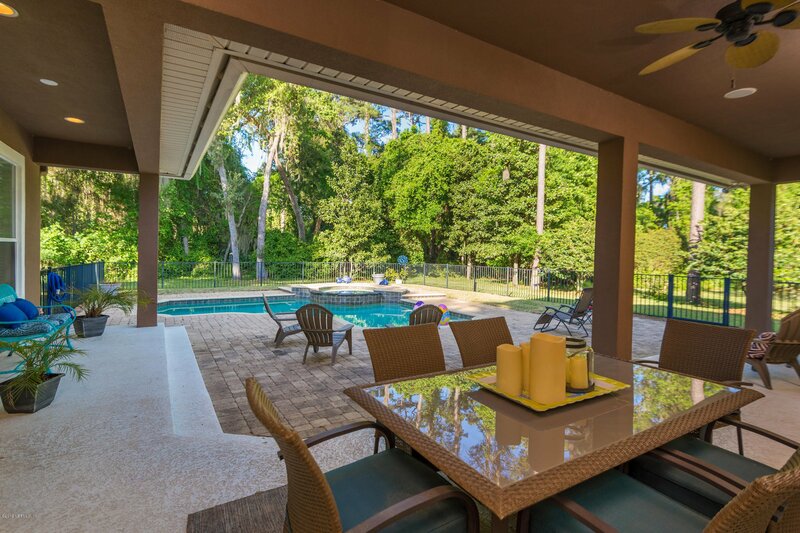 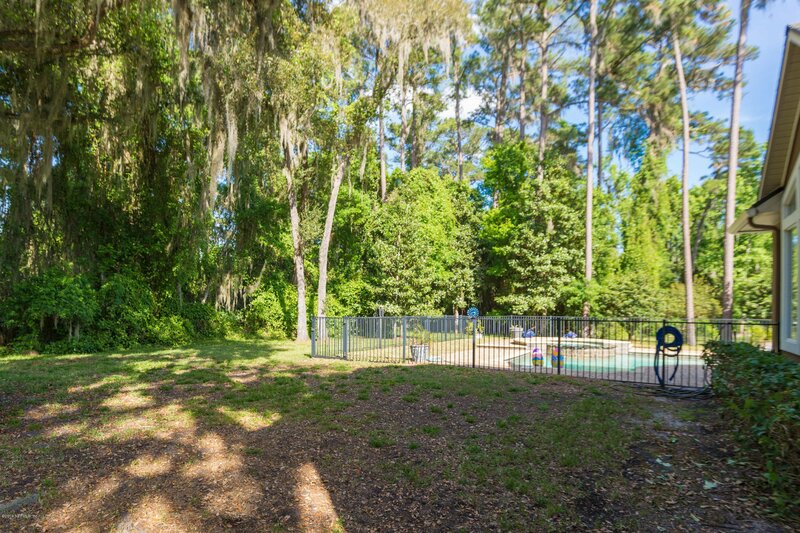 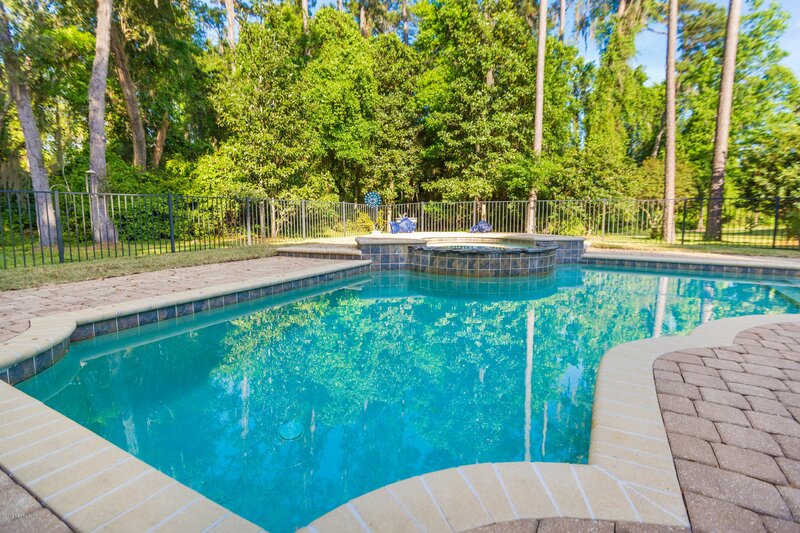 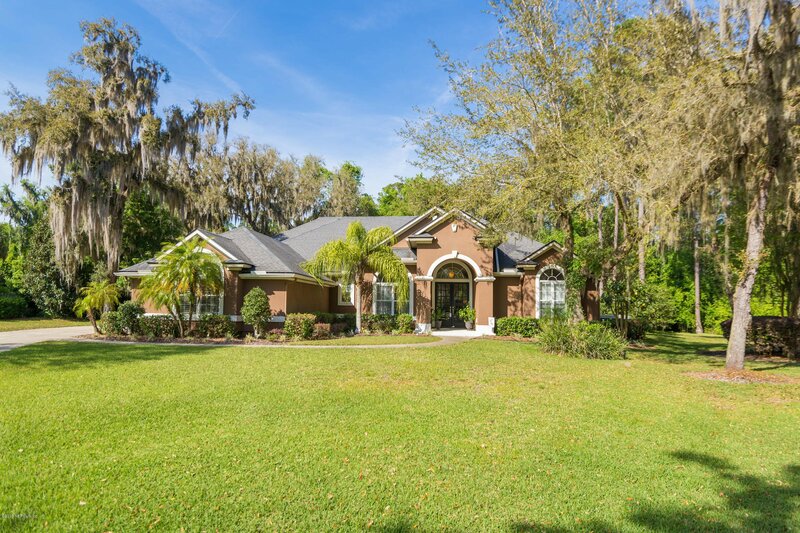 Executive home has view from front door to lush fenced back yard on large lot with gas heated saltwater pool & spa with surround of brick pavers. 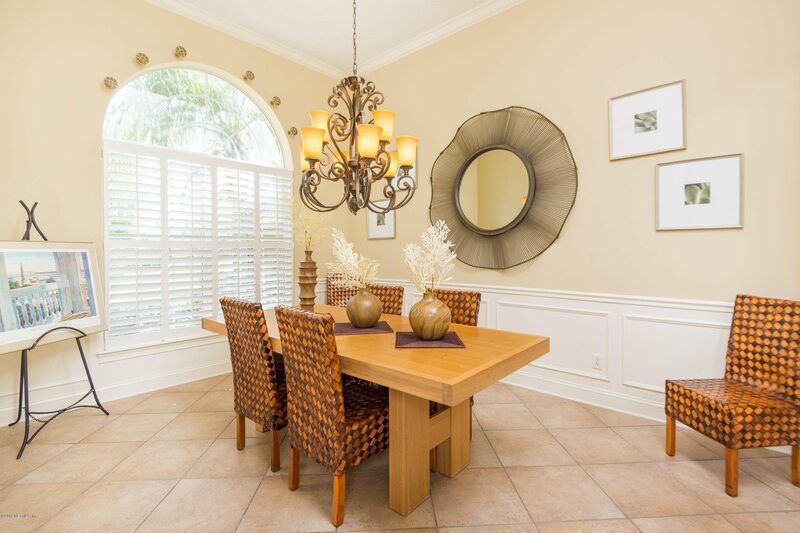 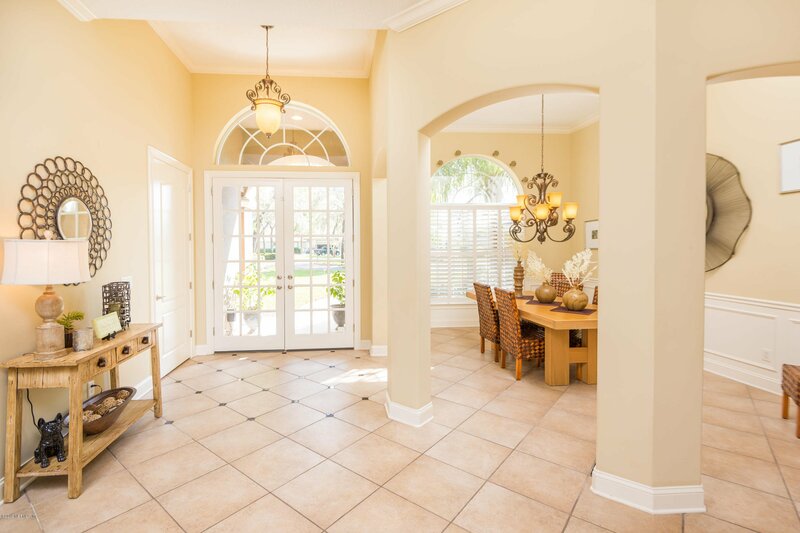 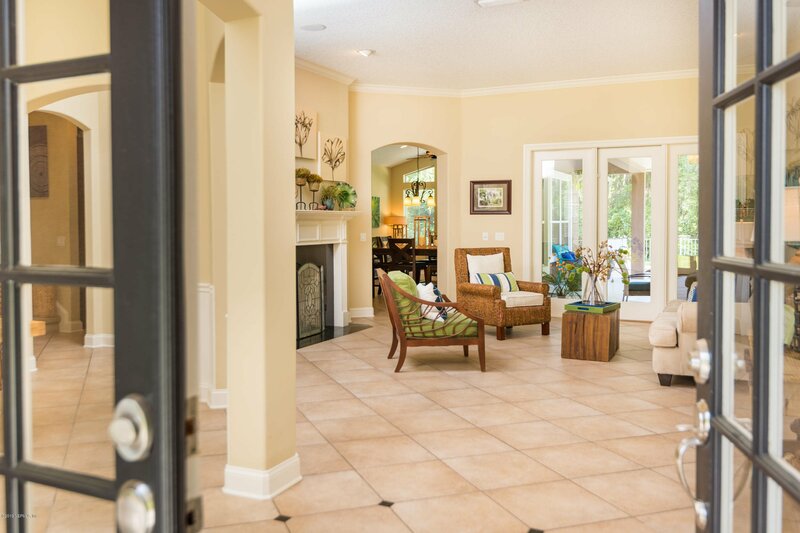 Neutral tile is throughout most of the common downstairs area. 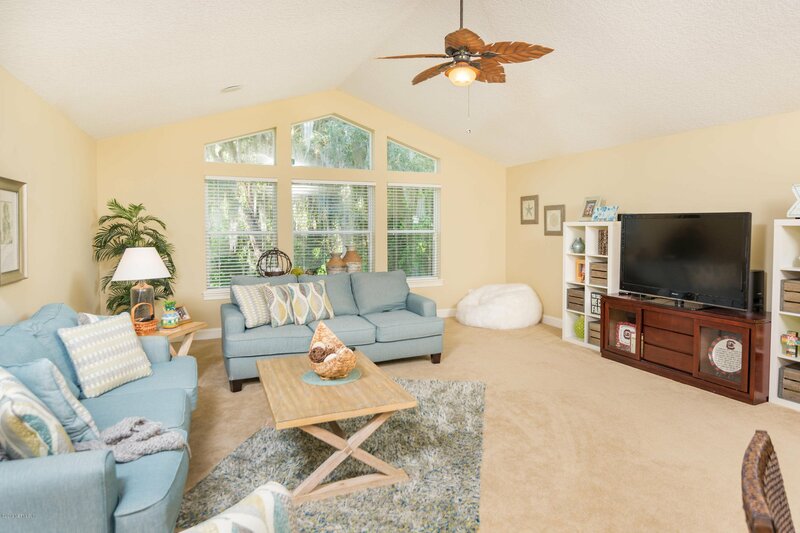 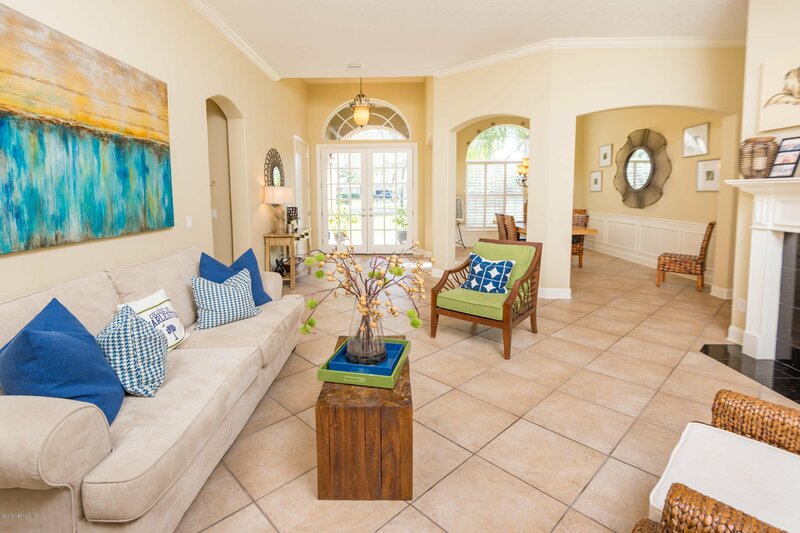 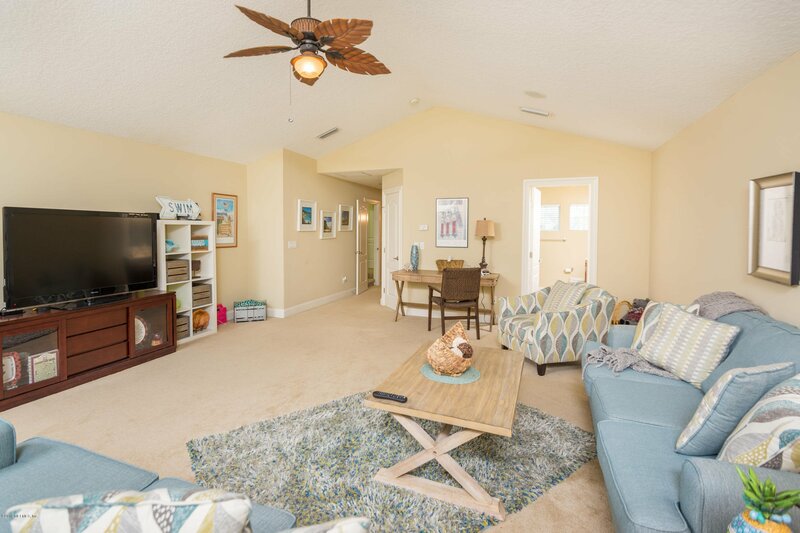 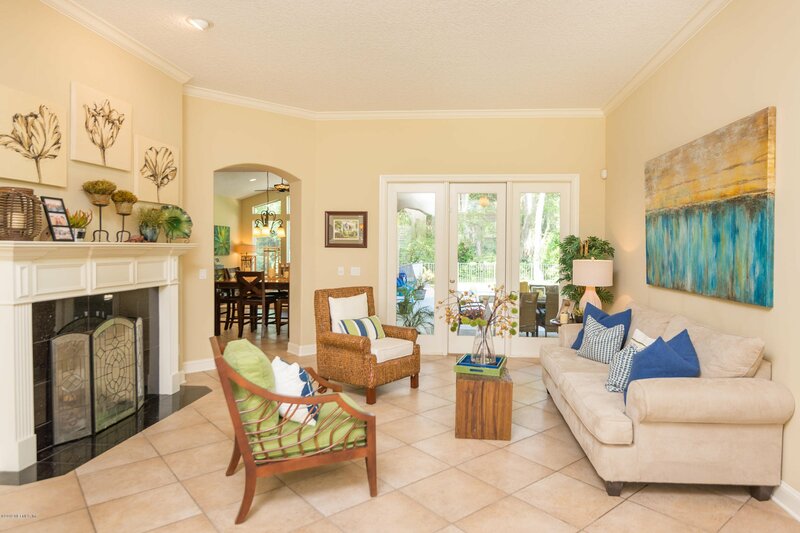 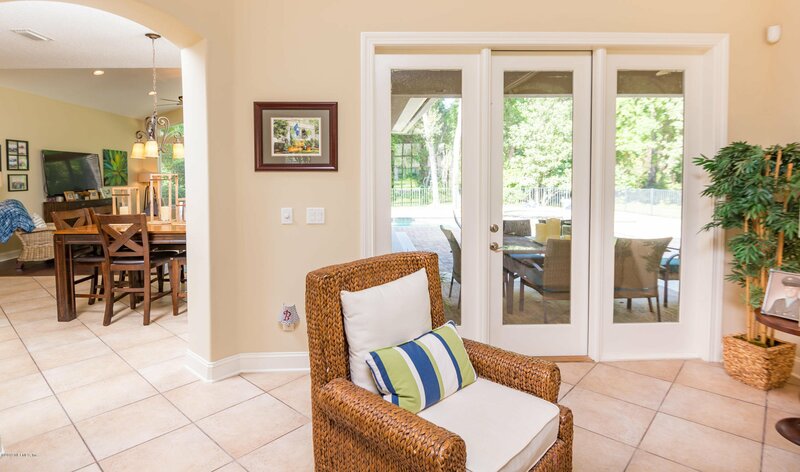 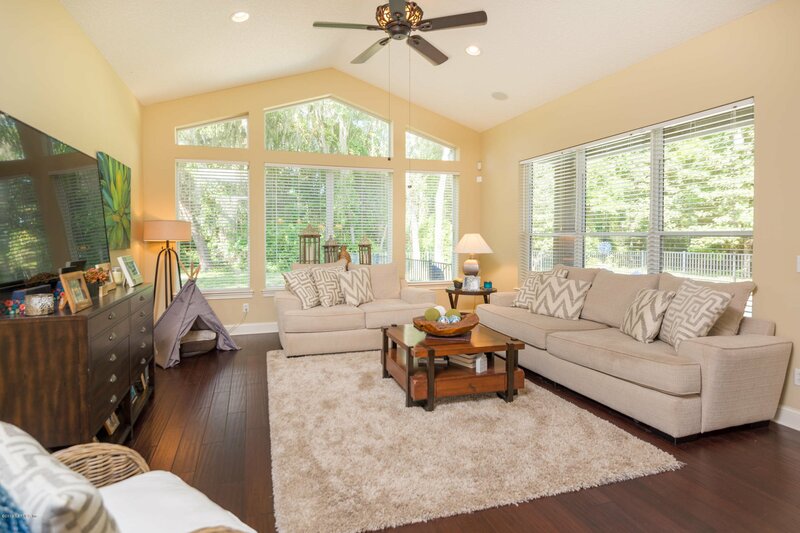 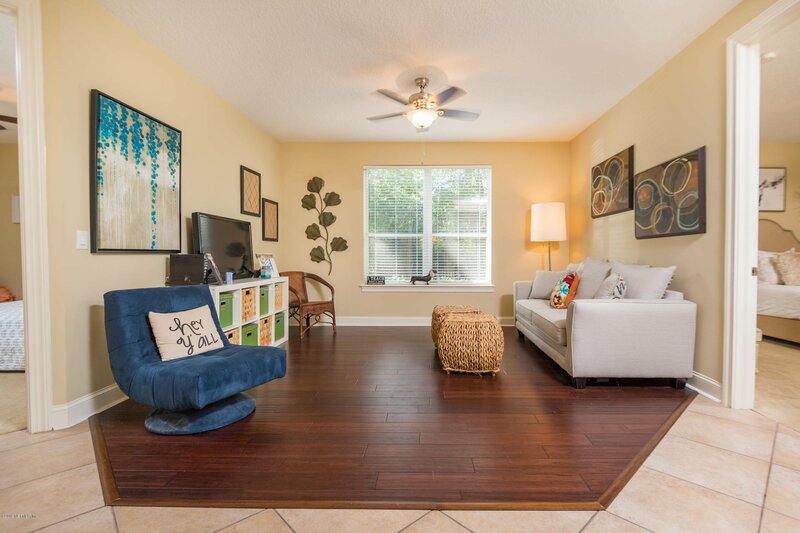 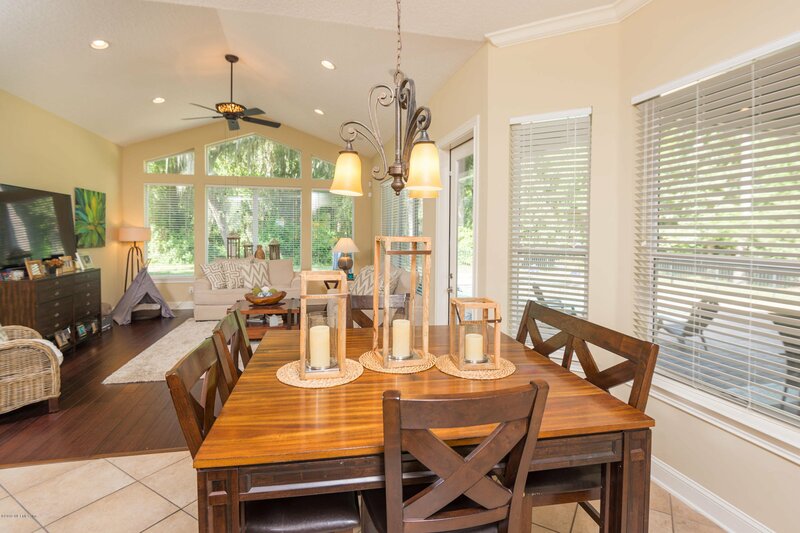 Family room is light-filled with vaulted ceiling and wood floors. 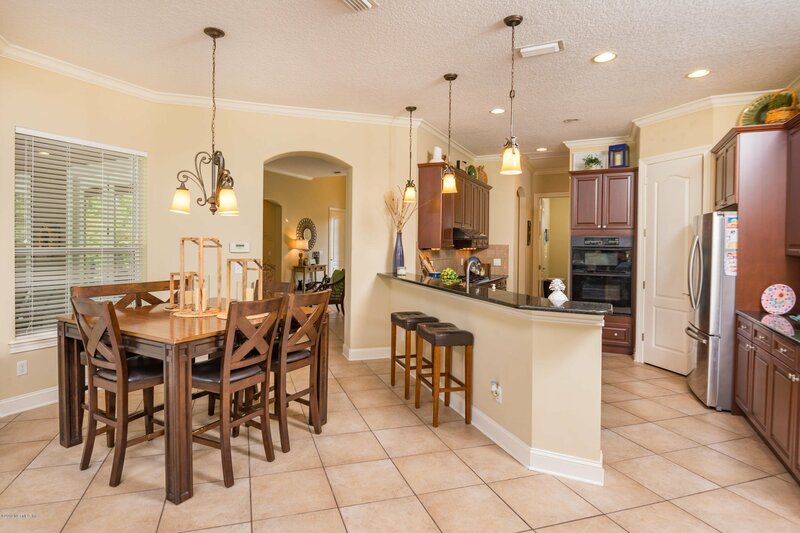 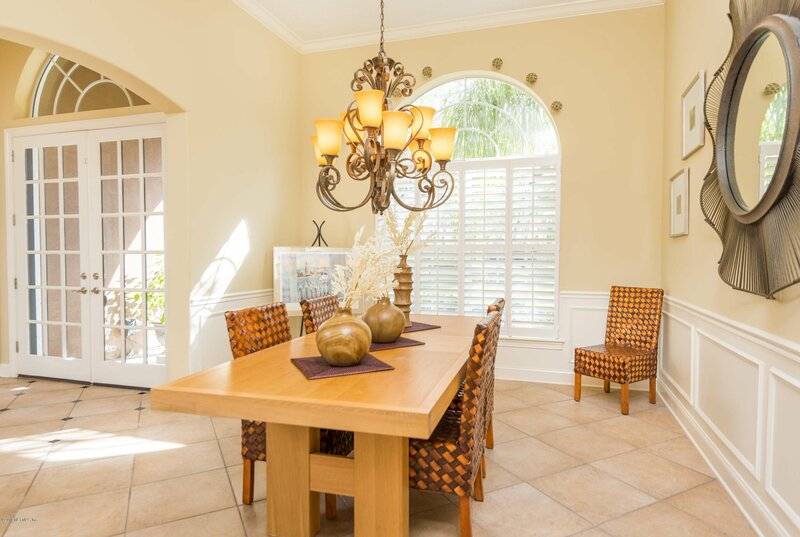 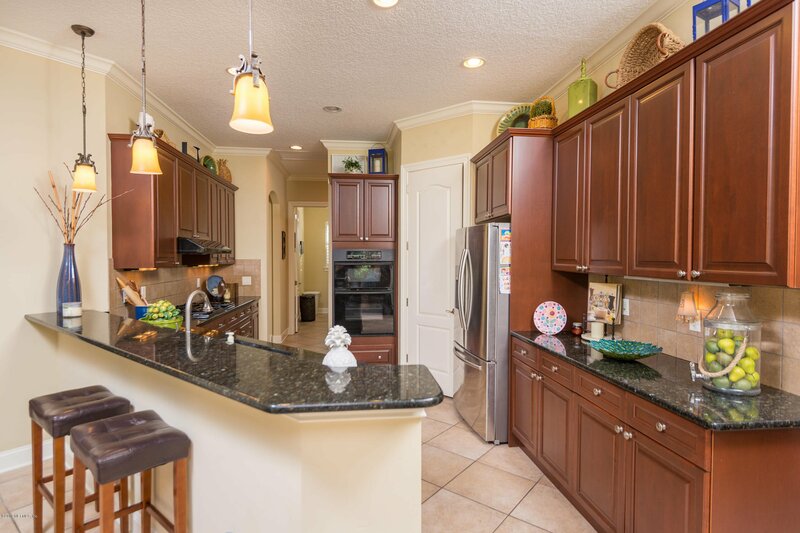 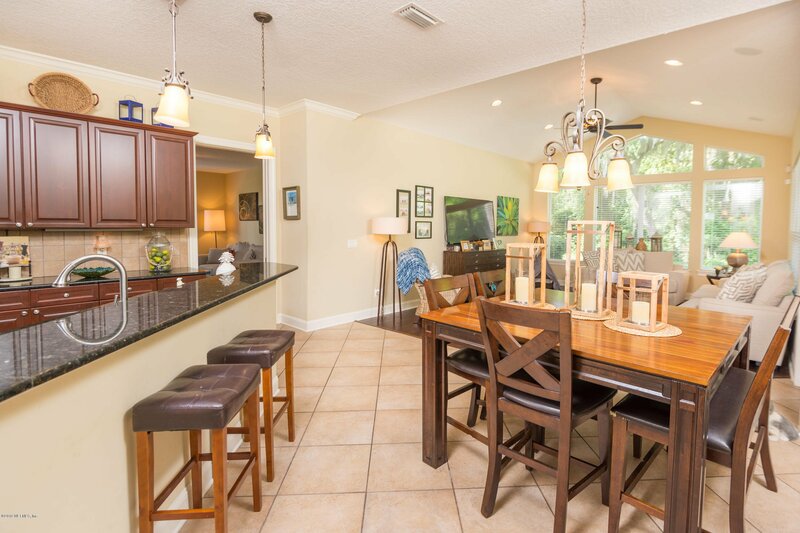 Kitchen is large with rich cherry cabinetry, granite countertops, and offers counter seating plus breakfast eat-in area. 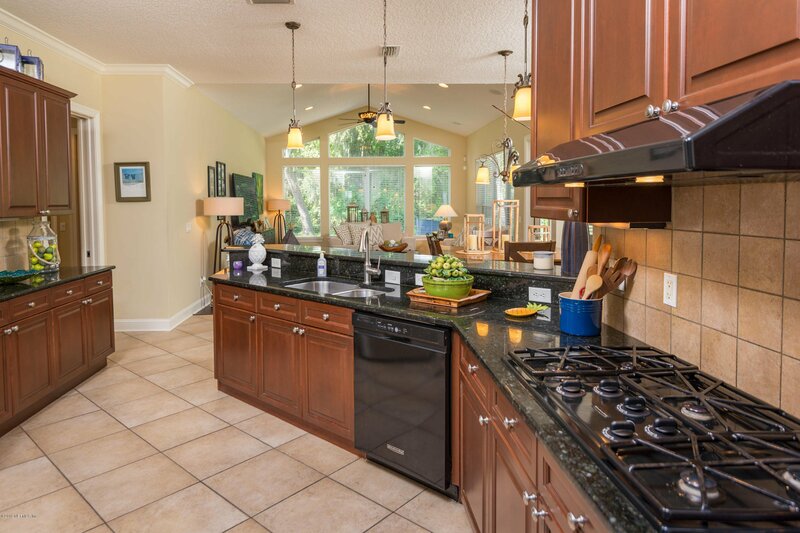 Chefs will love the 5- burner gas cooktop and French door refrigerator. 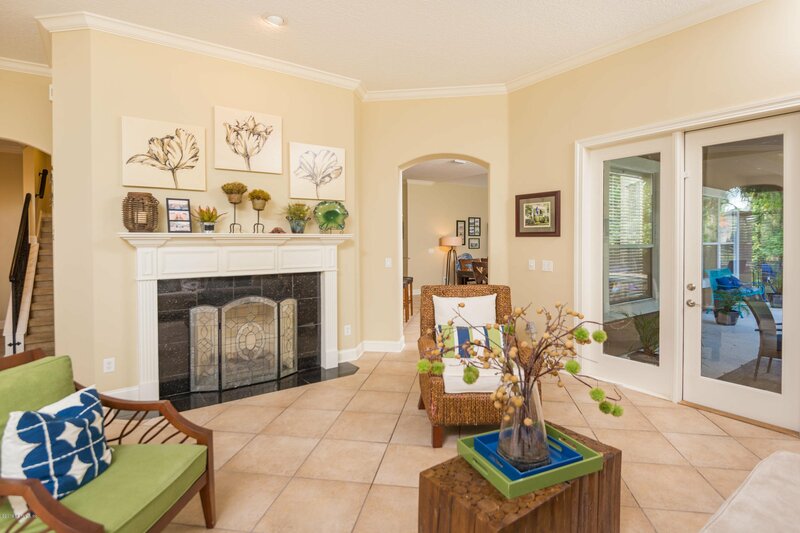 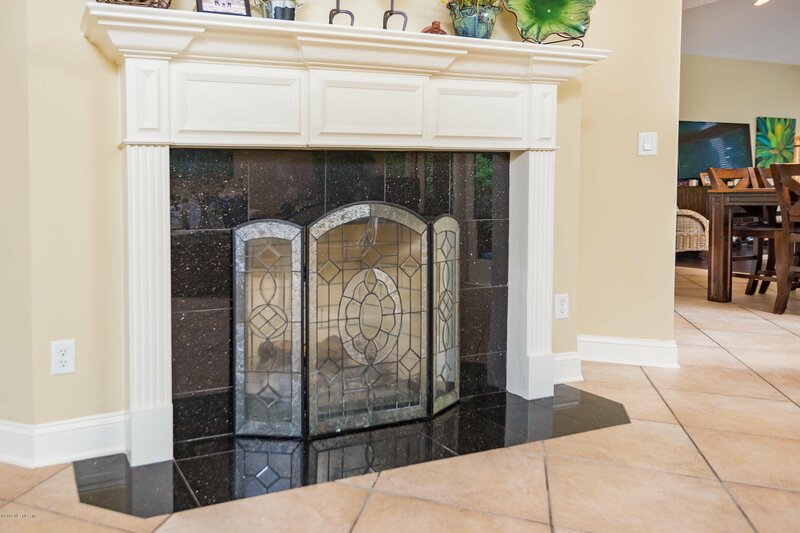 Stately living room has focal fireplace and dining room features accented detail molding and arched opening. 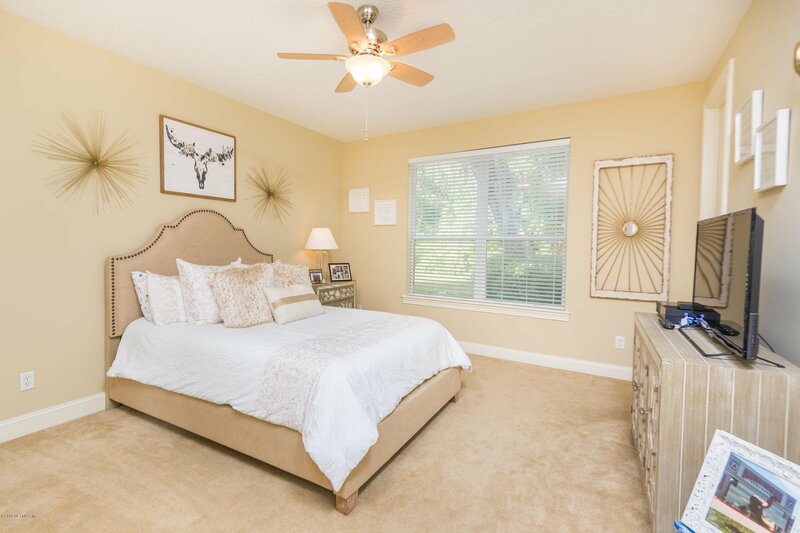 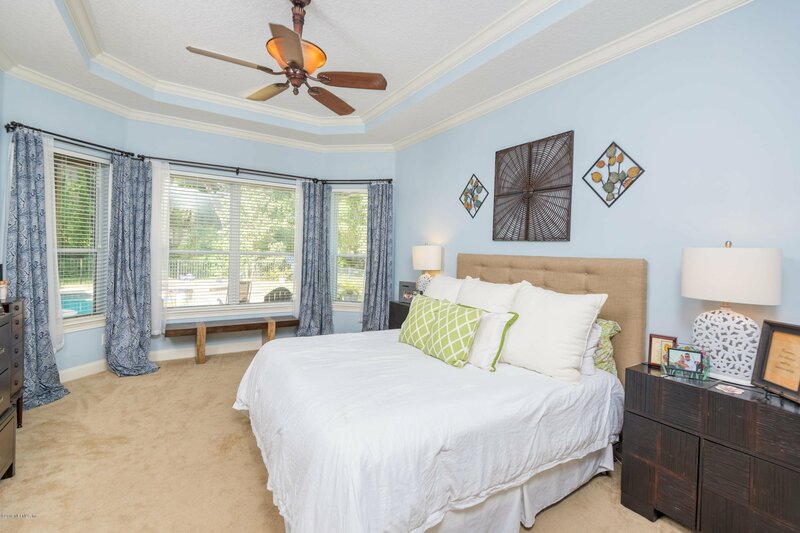 Downstairs bedrooms are both en-suite with walk-in closets. 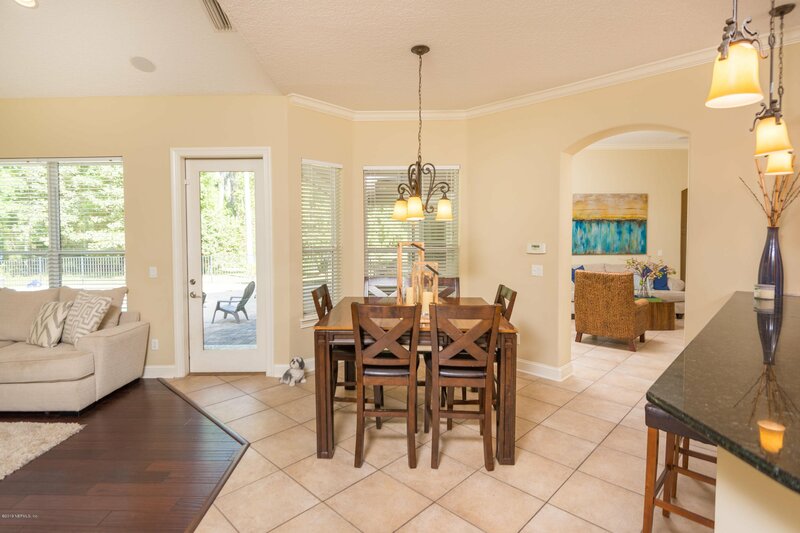 Master has details of trey ceiling and crown molding. 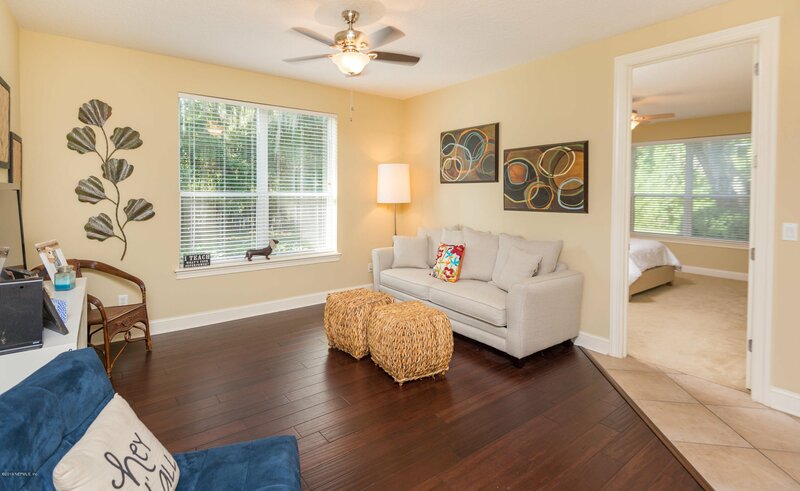 A flex space with hardwood floors and desk can function as separate area. 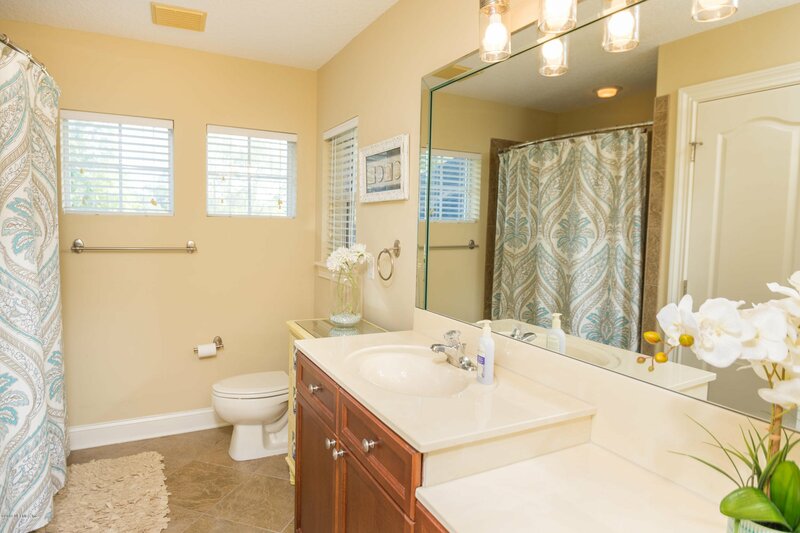 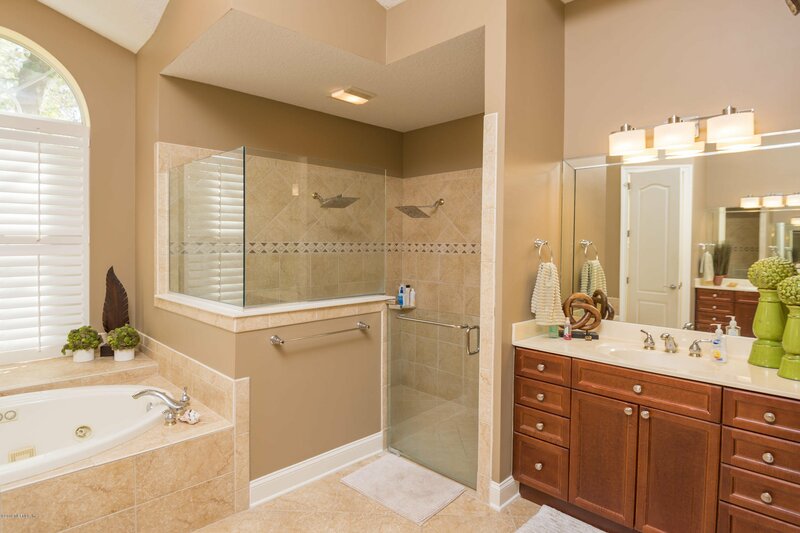 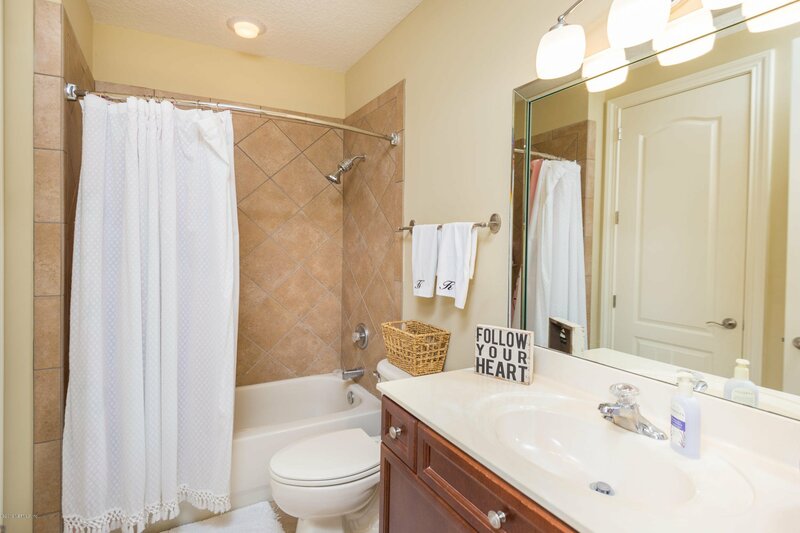 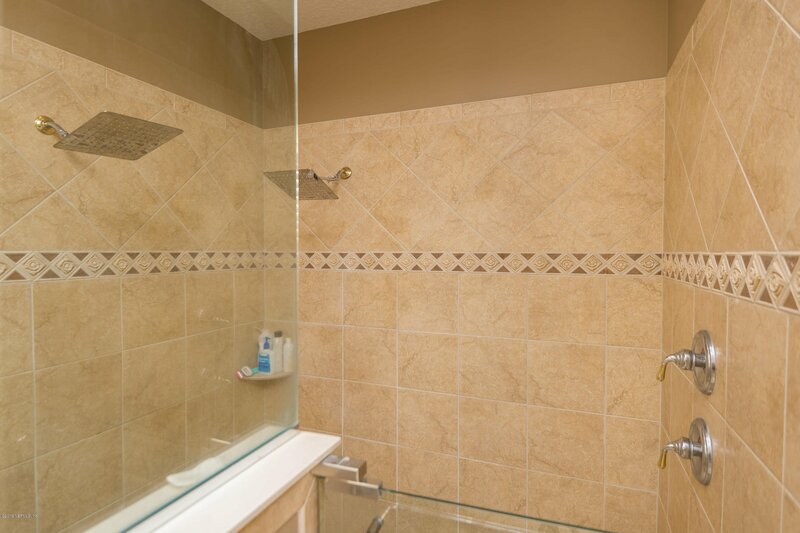 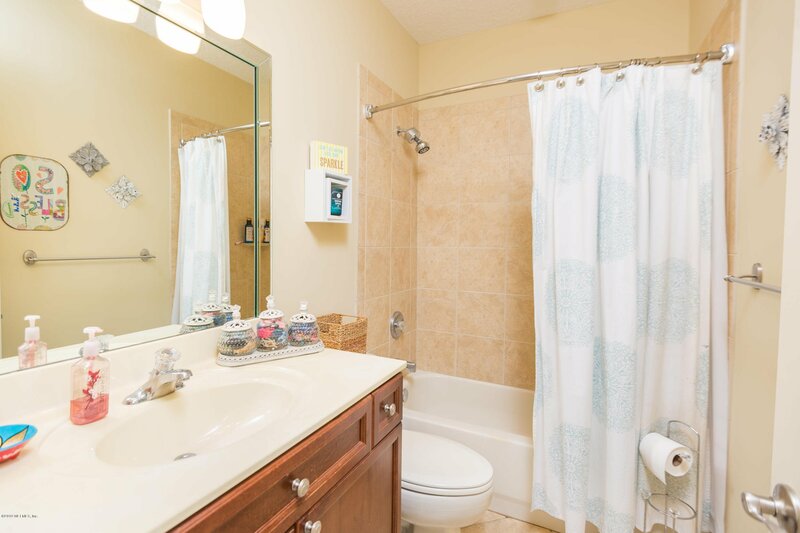 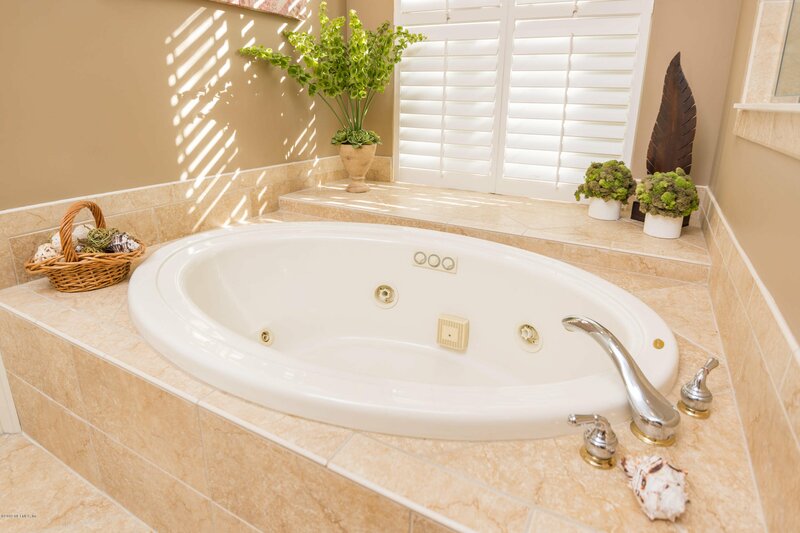 Master bath has jetted tub, double shower heads and dual vanities. 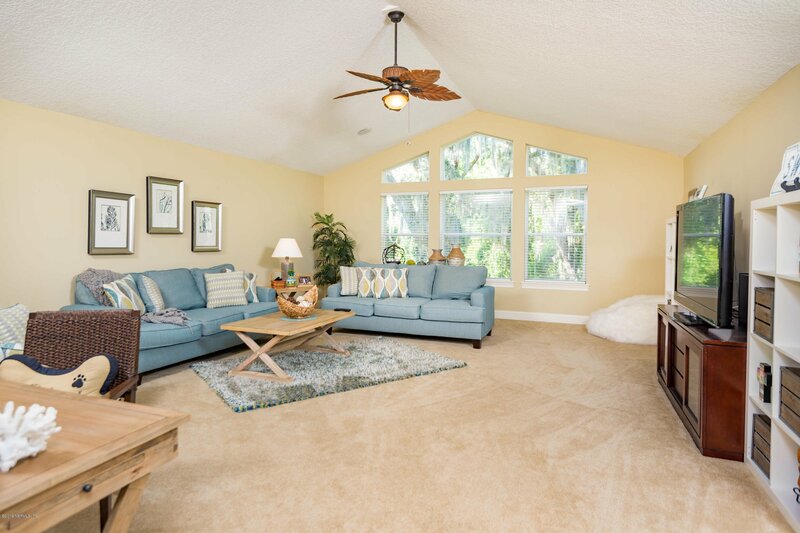 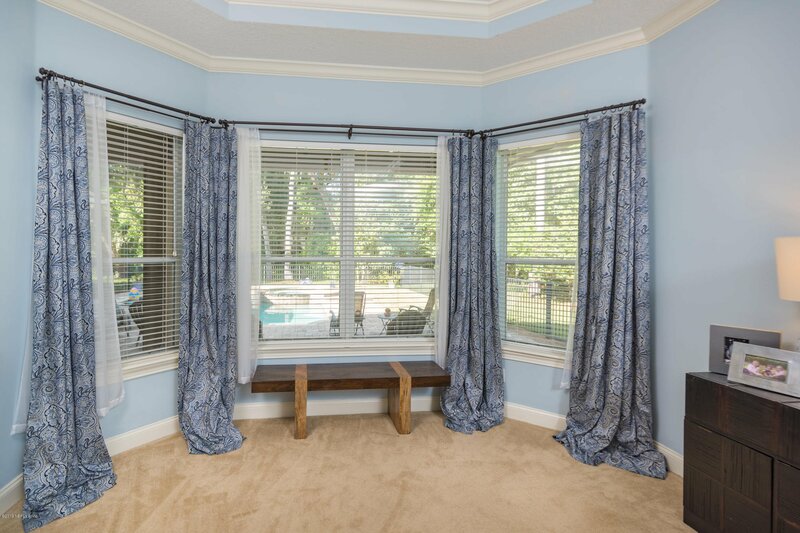 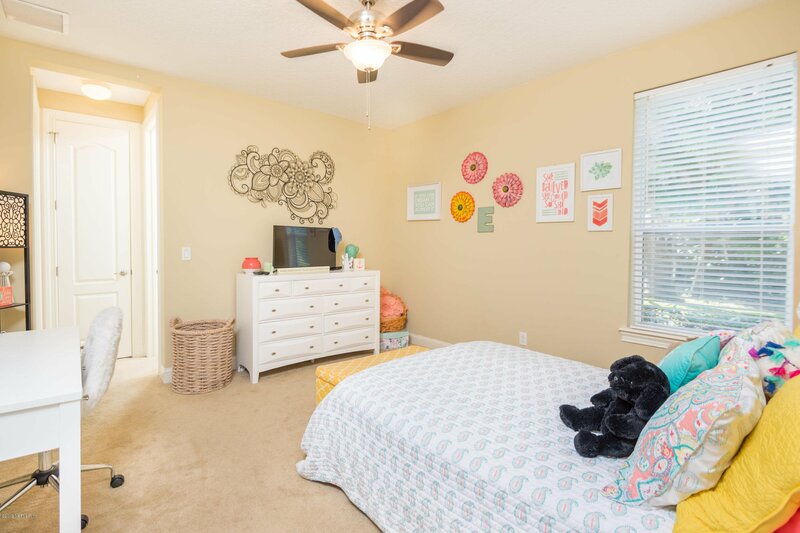 Bonus room with private bath features apex ceilings and views of the private back yard. 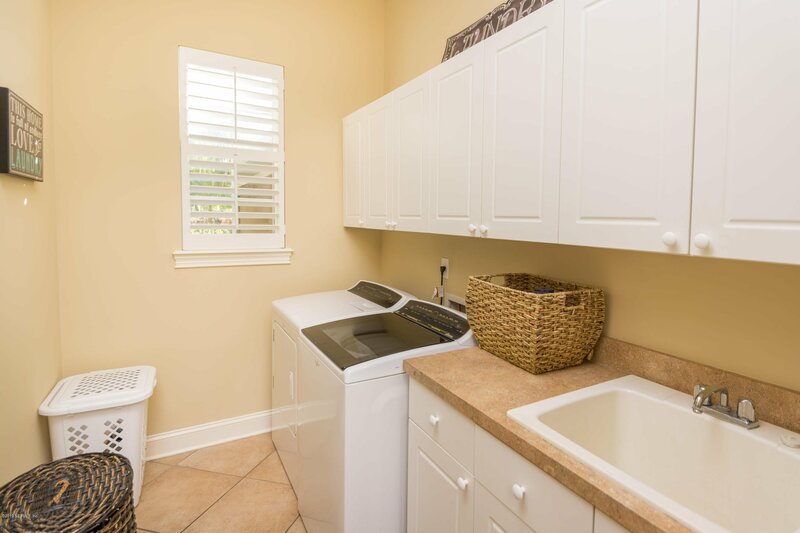 Laundry has built in storage cabinets and utility sink. 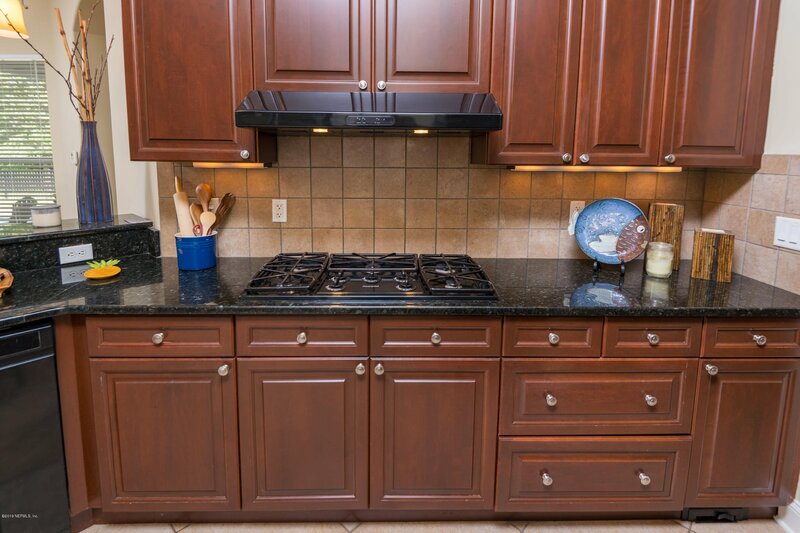 Lots of storage throughout. 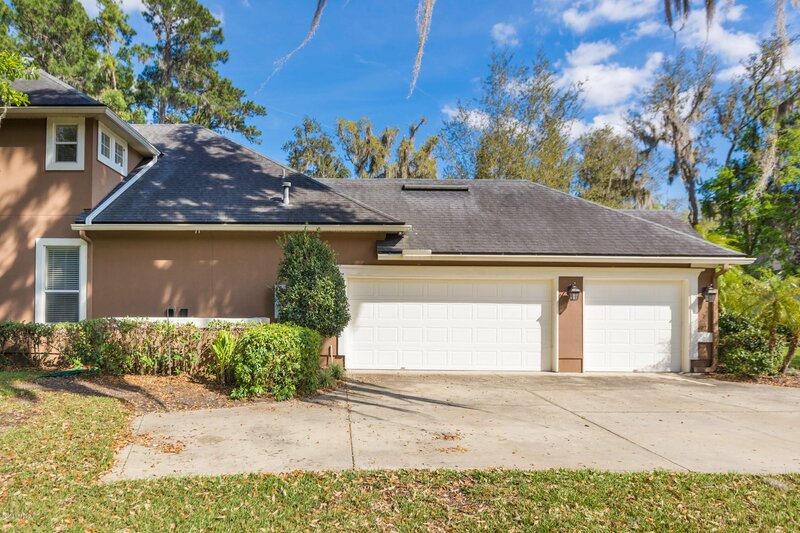 Three car garage also has attic with pull-down stairs. 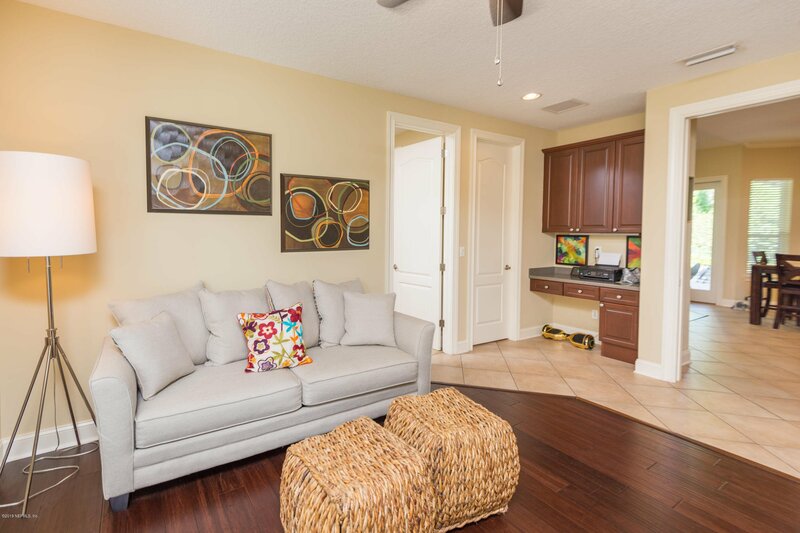 No CDD fees.